Even though grasses have been used for fuel in Europe for decades, that is not the case in the United States. A type of grass called switchgrass is planted as a crop. It grows to nearly 7 feet in height, providing substantial material/acre to be used as fuel. 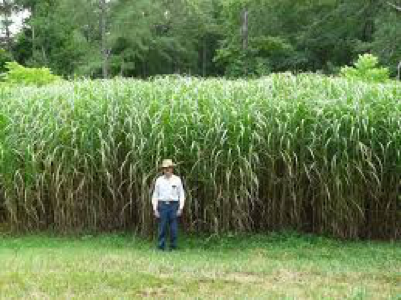 Miscanthus, another type of grass, grows to 15 feet high and provides even more yield. One warm season grass, miscanthus, can grow 15 feet high. ​PNERCD decided to teach farmers how to create their own heating fuel by raising warm season grasses and making heating pellets from them. Farmers and rural businesses throughout the ten-county region attended the workshops. ​Workshops were held in ten locations, generally twice per day. 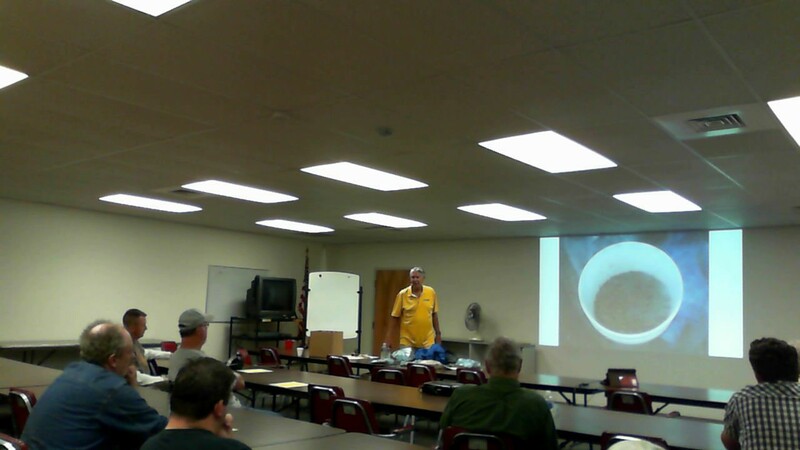 Each workshop included a one-hour classroom presentation on why and how to use grass to make heating pellets. Following the class, a one-hour demonstration of the process, showing grass pellets actually being made, was held outside. 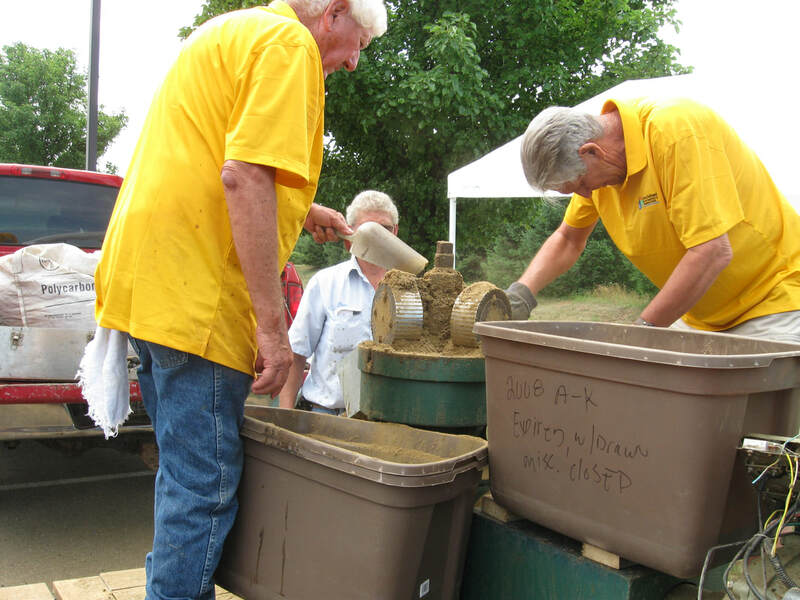 Attendees learned that making heating pellets from grass is not a simple process. Attention must be paid to moisture content in the grass, not too wet or not too dry. In addition to moisture, temperature of the grass during the process is crucial. The grass is prepared by using a hammer mill which chops the grass into very small pieces, suitable to use in the mill. The pellet mill then heats and compresses the grass material and pushes it under pressure through many holes in a metal piece called a die. 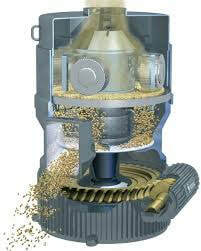 This is an example of a pellet mill which is used to make grass pellets. Heating pellets can be made from any grasses (even mulch hay), although switchgrass needs to be combined with other types to be able to form a pellet. 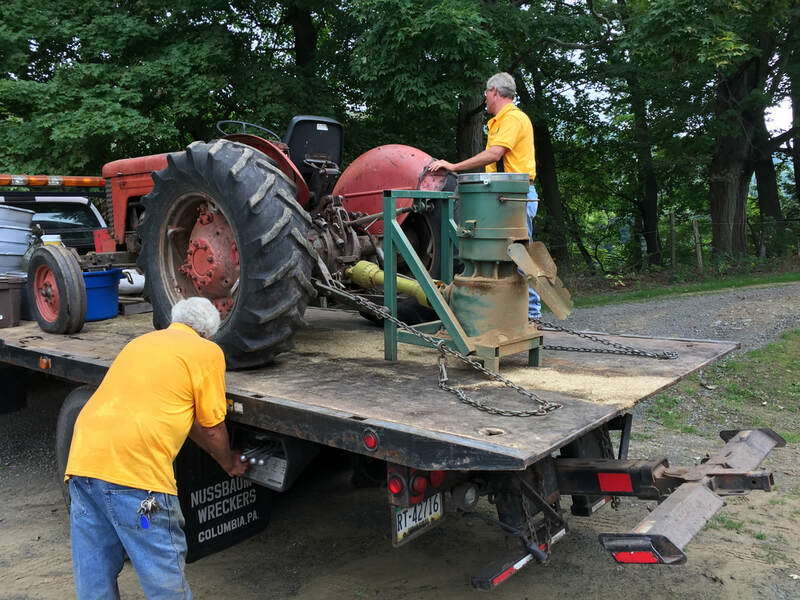 The pellet machine used in the process was powered by a tractor, using a power take-off. Other configurations for power include a combustion motor, electric motor, or direct electrical power. The type of mill used in the project could cost from $3,000 up, depending on expected use and where it is purchased. The volume of pellets to be made by the machine determines how heavy duty it must be. Total machinery costs are not high, and necessary equipment sometimes is already at hand. Sharing equipment would be feasible. 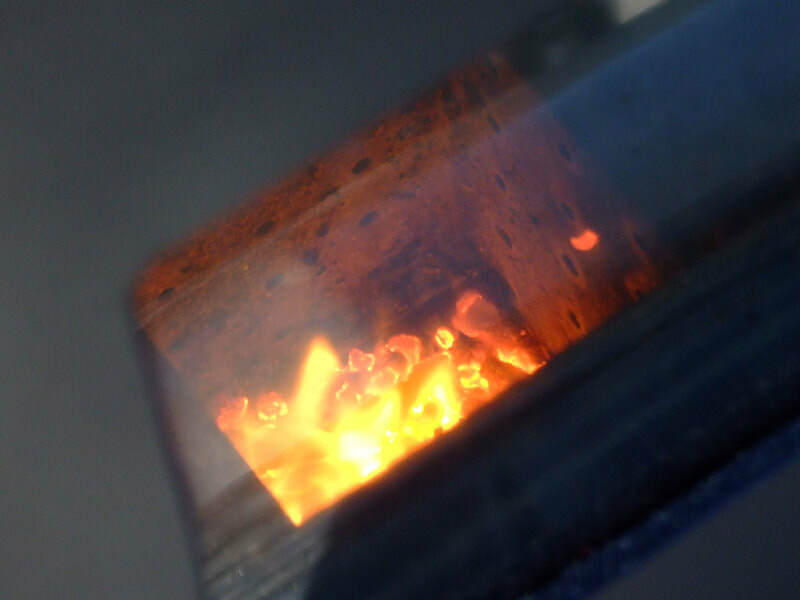 For heat, the pellets are best burned in a multi-fuel stove. They leave four times as much ash as wood, but the ash is very useful on plant beds. Now, the relatively low heating fuel costs make the grass from heat approach less attractive. Although for someone who has the ability to grow their own grass, it could increase their independence from the variability of other energy prices. Also appreciated are the people who contributed photos of the event. ​Specific questions about grass and grass heat, contact: Will Brandau, willbrandau@gmail.com. Or, phone: (570) 814-0195. 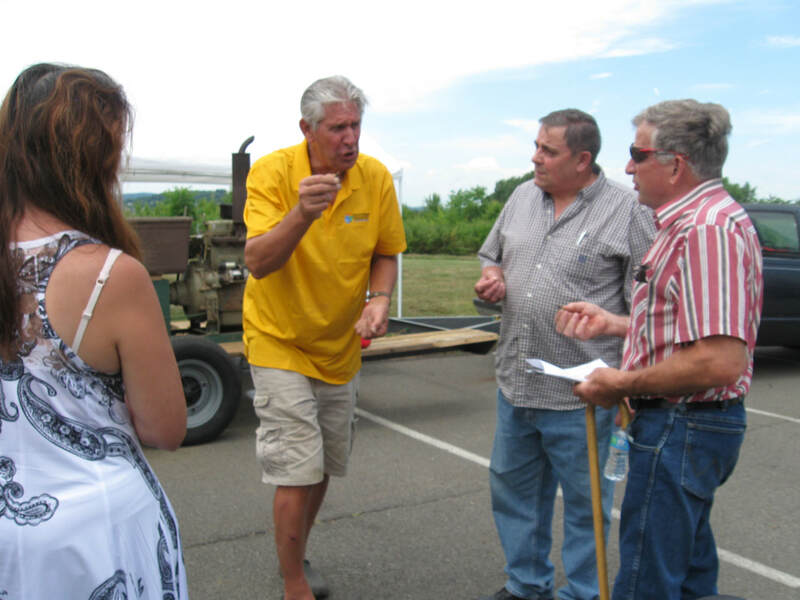 ​A grant to provide education and demonstration of how to use local grasses to make pellets for use as biofuel across its ten-county region was used by the Pocono Northeast Resource Conservation & Development Council (PNERCD). This grant was targeted at farmers and rural businesses, although individuals interested in heating their buildings with grass pellets were able to attend. From July through September 2016, PNERCD held ten workshops across the region. They consisted of an indoor presentation on how grass pellets are made, types of equipment needed, costs, results which can be expected, and potential government support available to help with equipment acquisition. This generally took about 60 minutes. Then a demonstration was held outdoors where pellets were actually made using equipment which could be purchased locally. These took less than an hour each. 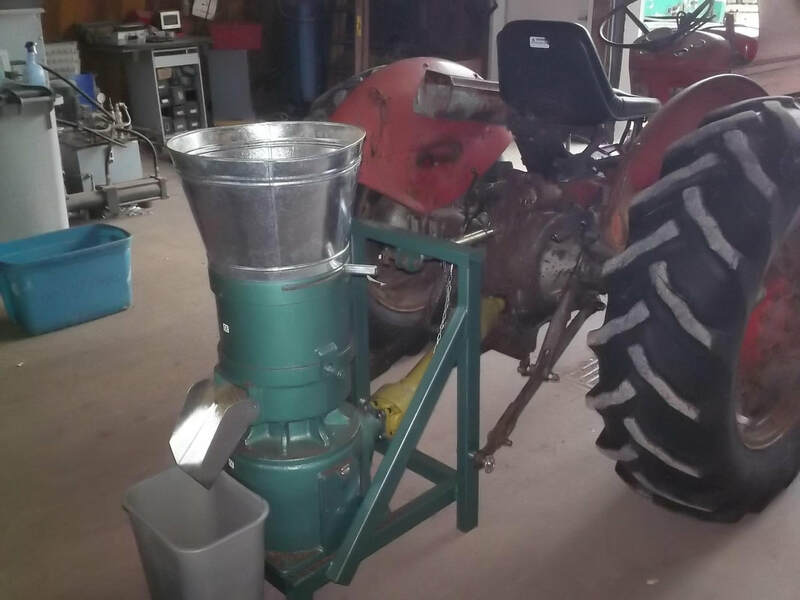 Attendees left with an understanding of the grass pellet-making process, familiarization with the equipment used, and information on how to get grants and/or loans through the REAP program of the US Department of Agriculture. 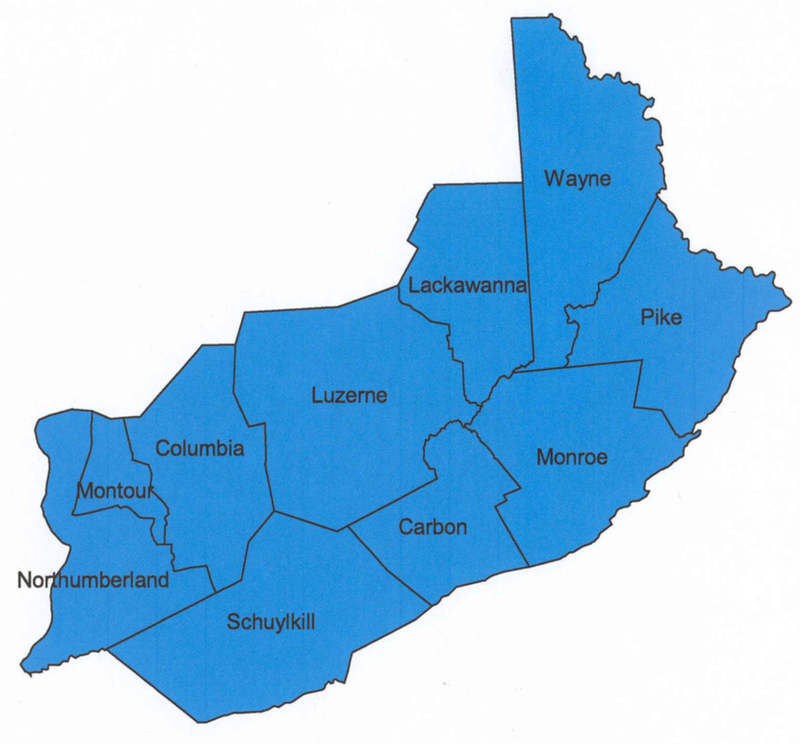 The chief presenter was Mr. Will Brandau of Woodcrest Farm in Wapwallopen, Luzerne County. He has been making grass energy pellets for his own use since 2006. His practical experience in this field, as well as his personal efforts to advance the use of warm-weather grasses for energy, made him uniquely qualified to present these sessions. Mr. Larry Hartpence of Hartpence Farms in Moscow and his staff operated the demonstration machinery and helped to refine the pellet-making process. A significant achievement was that the team successfully and consistently were able to make pellets from grass which is a big step in developing a reliable process to make grass pellets available for heat. PNERCD has carried out an assortment of environmentally-related programs since its establishment in 1976. Renewable energy has been a priority for the Council for over a decade. The project offered an alternative approach to that which the Council has used for the last five years – the development of a large mobile pelletizer which would be moved from farm site to farm site. Will Brandau of Wood Crest Farms (Wapwallopen, Luzerne County) and of the PNERC&D Board of Directors spoke at the Pennsylvania Association for Sustainable Agriculture (PASA) meeting in State College on Saturday, February 3. He spoke about "On-Farm Production of BioMass Grass Pellets." This was a discussion of how farmers and rural businesses can produce their own heating fuel from native grasses and mulch hay for a one-time cost of less than $10,000. He also discussed how farmers and rural businesses may be potentially be eligible for federal grants/loans up to 75% of the cost.